Have a street named for you, have successful descendants. 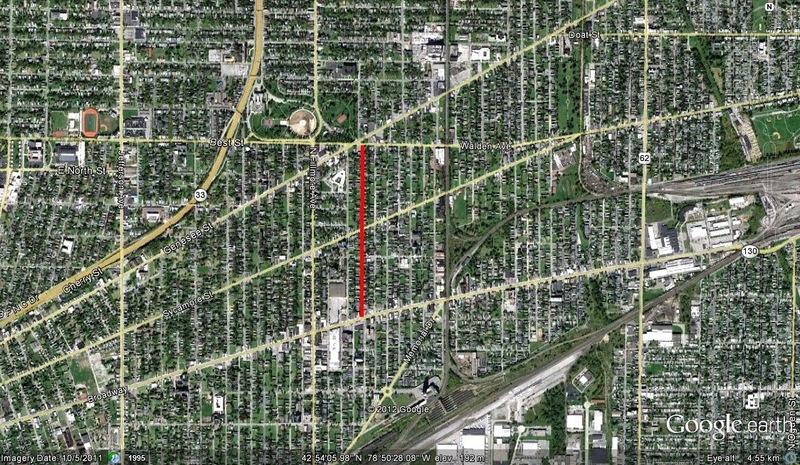 Woltz Avenue is a street running about three-quarters of a mile between Walden Avenue and Broadway in the Broadway-Fillmore neighborhood. The street is named after a family that had three generations who all held public office in the City of Buffalo! 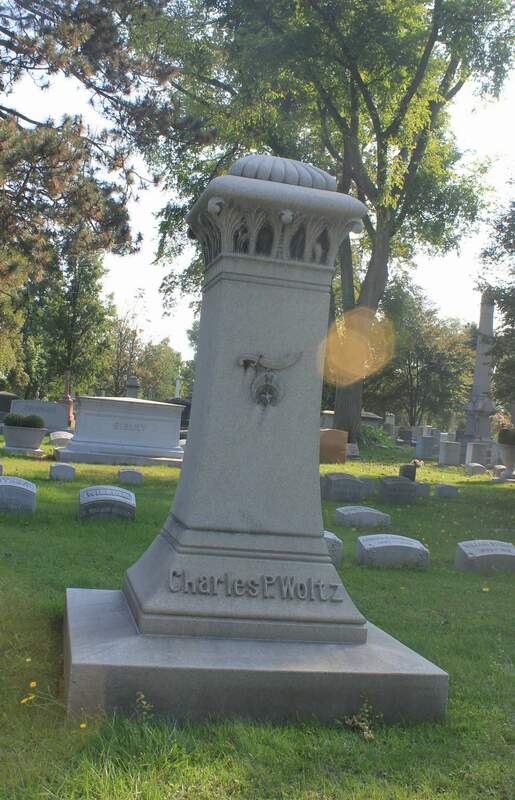 Woltz Avenue is technically named for Charles Woltz, who was on the Council at the time when the street was named. The street was originally named Bowen Street. The German residents of the neighborhood would confuse Bowen with Bone, so many of them called the street knoche, which is the German word for bone, leading to confusion. So while Charles was president of the Council (1893-1895), a petition was drawn up to change the street name, however the petitioners failed to give suggestions for what to name it. When the Council granted the petition, they opted to name the street after their President. Charles was born in Alsace-Lorraine in 1853. When the Germans acquired that territory in 1870, he came to America because of his aversion to German militarism. Years later, when he returned to visit his brother, he was immediately thrown into jail for evading compulsory service in the German army. His brother effected his release, however Charles never returned to his homeland again. Charles was secretary of the Erie Land Company, which developed Woltz Avenue, Loepere and Mills Streets. He was also an officer of the Genesee Land Company, which developed Montana, Colorado and Nevada Streets. He was active in the Republican Party and was a delegate to the National Republican Convention which nominated William Howard Taft for the presidency. Charles wife, Eva, came from Germany in a sailing vessel that took forty days to cross the Atlantic. Charles and Eva lived at 1125 Genesee Street, which is near the street that would bear the Woltz name. In 1890, the Woltz home is listed in the Buffalo City Directory as “Woltz Saloon”. Charles enjoyed fishing, and he would often take trips to Niagara-on-the-Lake for the day with his neighbors to go fishing. Charles died in 1924 and is buried in Forest Lawn. Charles and Eva had two sons, Charles J. and George. Charles J. was born in 1878 and was a graduate of Buffalo Law School and continued the real estate business established by his father. George was born in 1886. In 1901, George began his career as an office boy, and worked his way up and became a Judge. He served for 11 years as Assistant District Attorney, and then served more than 20 years on the bench. He was affiliated with 32 clubs and organizations in Buffalo, including Bethlehem Evangelical Lutheran Church, Buffalo Consistory and Shrine, the Buffalo Athletic Club, the Elks, Oddfellows, Orioles, the Humboldt Club, Republic organizations and four German singing societies. George lived at 755 Best Street. 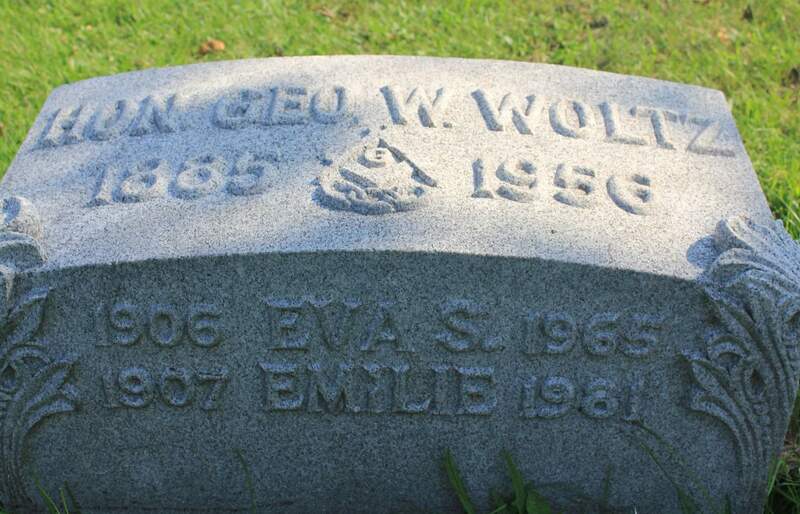 George’s daughter (Charles’ granddaughter), Eva Woltz, was born in 1906 and became an attorney and clerk of the City Court. Eva passed away in 1965 and is buried in the family plot alongside her father George and her sister Emilie. Source: “Three Generations Memory” Courier Express July 23, 1939, sec 5 p 5. Awesome historical background. You may be able to turn this into a side job. Market to neighborhood groups. Thank You for your hard work. Maybe I can publish neighborhood specific books someday “Get to Know the Streets of Black Rock”, “Get to Know the Streets of Polonia”. That’d be fun!